The medal for the Beijing 2008 Olympic Games is designed with inspiration coming from "bi", China's ancient jade piece inscribed with a dragon pattern. The medals, made of gold and jade, symbolize nobility and virtue and are the embodiment of traditional Chinese values of ethics and honour, sending forth strong Chinese flavor. The medals are 70mm in diameter and 6mm in thickness. 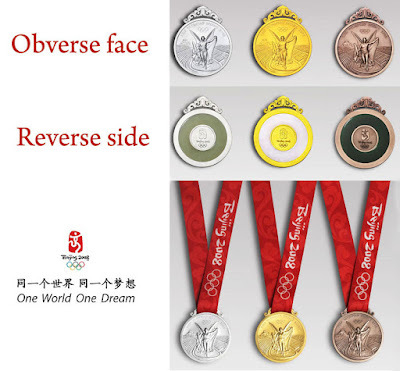 On the front side, the medal adopts standard design prescribed by the International Olympic Committee. While on the back, the medal is inlaid with jade with the Beijing Games emblem engraved in the metal centerpiece. The design inspiration of the medal hook derives from jade "huang", a ceremonial jade piece with decoration of double dragon pattern and "Pu", the reed mat pattern. Noble and elegant, the Beijing Olympic Games medal is a blending of traditional Chinese culture and the Olympism. It gives the winners of the Games great honor and acclamation as recognition of their achievement. 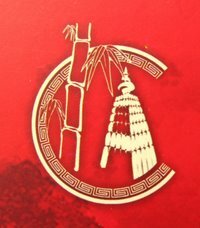 On 23rd May 2010, Indian Overseas Chinese organisation of Hongkong felicitate Dr. Rita Chowdhury for her recent release of her book MAKAM, that revolves around the untold miserable stories of assam born chinese. She cries out loud through her book for those who were sagged in apocalytical histeria, torn apart in geographical barriers.